Donald Trump's victory has brought more hate and prejudice out of the woodwork than even the aftermath of 9/11. 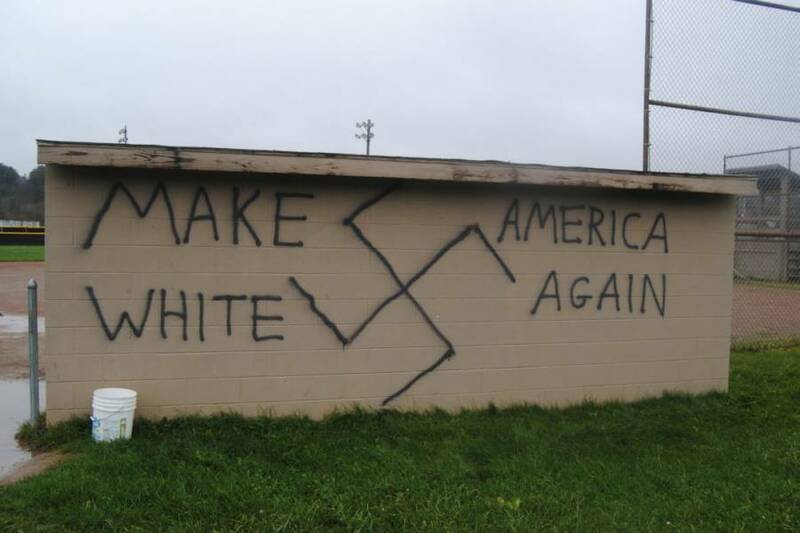 Apparently you can’t make America great again without racism. There has been a definitive increase in hate crimes and outward displays of discrimination in the U.S. since Americans elected Donald Trump, casino owner and former guest on Access Hollywood, as president this past Tuesday. Street harassment of women, threats toward people of color, and vandalism in Jewish communities are currently occurring at a higher rate than during 9/11’s aftermath, according to New York Magazine‎. 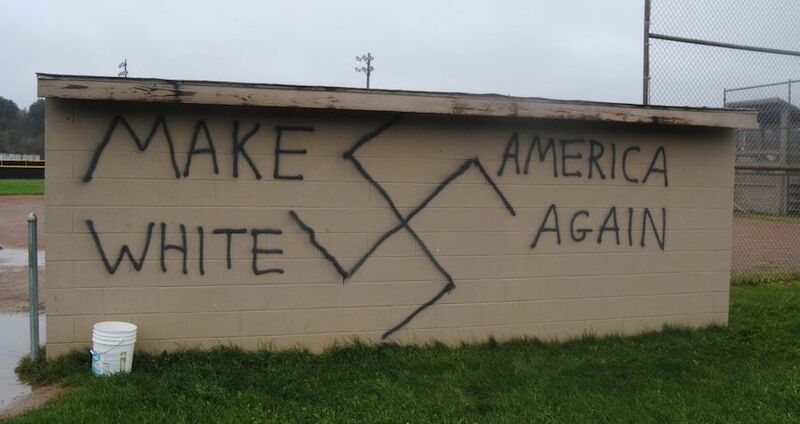 “Since the election, we’ve seen a big uptick in incidents of vandalism, threats, intimidation spurred by the rhetoric surrounding Mr. Trump’s election,” said Richard Cohen, president of the Southern Poverty Law Center, to USA Today. Still, it’s worth remembering that during such a contentious time, false reports of prejudice can also go viral thanks to the emotional catharsis they provide for the losing side’s bloc. Reason recently published an article showing how many of these incidents currently circulating on social media are out of context, or at least did not happen as described. Firstly, I want to publicaly and sincerely apologize if this has offendeded anyone. I would like to explain that the picture has myself in it, but that it is completely out of context. The confederate flag in the background is defaced (ripped in half) becasue I do not support it. The balck on my face is a boscia face mask. I do not hate any group of people. #blacklivesmatter. Still, people of color have indeed faced appalling bigotry and intimidation on college campuses and elsewhere nationwide, even in liberal enclaves like San Francisco and Ann Arbor, Michigan. Students at the University of Oklahoma allegedly added hundreds of freshman African-American students from the University of Pennsylvania to a GroupMe chat and threatened to lynch them. For a running list of all the incidents of harassment since Trump’s election win, check out Buzzfeed’s continuously updating account. Next, read about a high school teacher in Oklahoma who was accused of being a racist after teaching his class about white privilege, before checking out the unannounced parade the KKK is throwing in celebration of Trump’s victory.